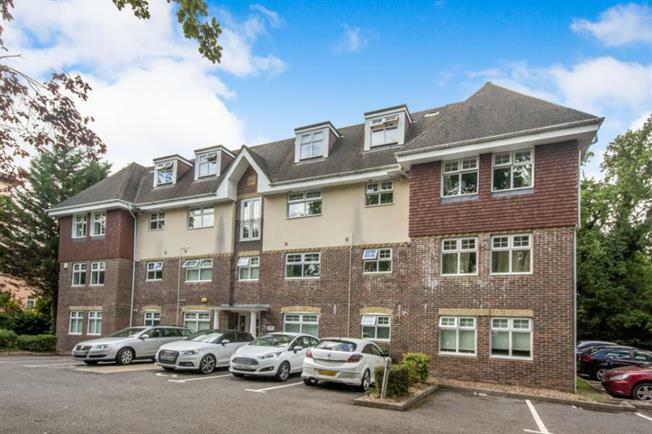 2 Bedroom Flat For Sale in Crawley for Guide Price £290,000. Wow! What an apartment! To say it is spacious is an understatement with over 1300 square feet of accommodation! 'The Norfolk Penthouse' is a luxury penthouse apartment which sits within the gated developement of 'Brecon Heights' within the sought after neighbourhood of Southgate; a short distance from the thriving Crawley town centre, its amenities, train station and other local transport links. Being one of the only two penthouse apartments you will have the benefit of two allocated parking spaces, private key access within the lift to reach your floor and secure call entry system. When you enter the property you are met with a great size entrance hall, turn right and you are instantly taken aback by the sheer size of the living/dining room. With a clean square footprint you can really use your imagination and personal touches to make this room your own. The seperate kitchen too offers an abundance of room and features two walls of cupboards and work surfaces. The apartment offers two double bedrooms, both with fitted double wardrobes. The master is serviced by an en suite shower room as well as offering enough space within the room to create a dressing area. The larger than average main bathroom features a corner jacuzzi bath also. There are three deep set storage cupboards which are accessed from the entrance hall so as well as the abundance of space, there is also storage - something which is quite a rarity nowadays! Offered with no ongoing chain, this rarely available and, quite frankly, unique apartment caters to a wealth of buyers needs and versility. Call today to arrange a veiwing as this is definately not a property to miss!